Showing results by author "Ian Messiter"
This 40th Anniversary special contains 16 episodes and spans all four decades of the series: the 1960s, 1970s, 1980s, and 1990s. Nicholas Parsons introduces each episode and provides fascinating background information on the game, as well as memories of its players and its devisor, Ian Messiter. As funny and popular today as when it first began in 1967, Just a Minute challenges contestants to speak for one minute on a given subject without repetition, hesitation or deviation. Four specially selected episodes of Radio 4's much-loved panel game includes two special celebratory editions. 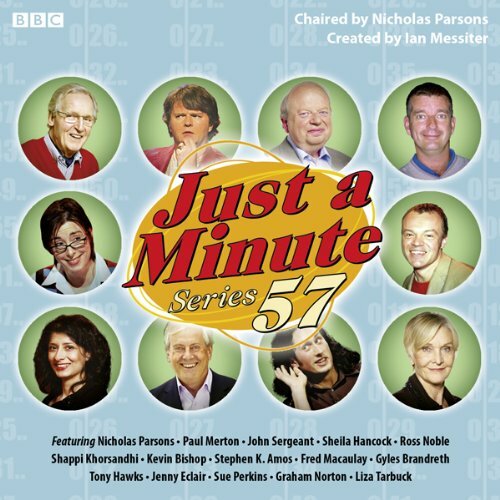 In the first, which celebrates Just A Minute's 45th anniversary, Paul Merton, Ross Noble, Jenny Eclair, and Gyles Brandreth are given subjects from the first series in 1967, such as When I Wear a Top Hat, The English Nanny, Knitting a Cable-Stitch Jumper, How to Perform a Cornish Floral Dance - and Derek Nimmo! Plus, there's a special from Mumbai, which features Indian comedians Cyrus Broacha and Anuvab Pal. Four specially selected episodes of Radio 4's much-loved panel game includes two special celebratory editions. 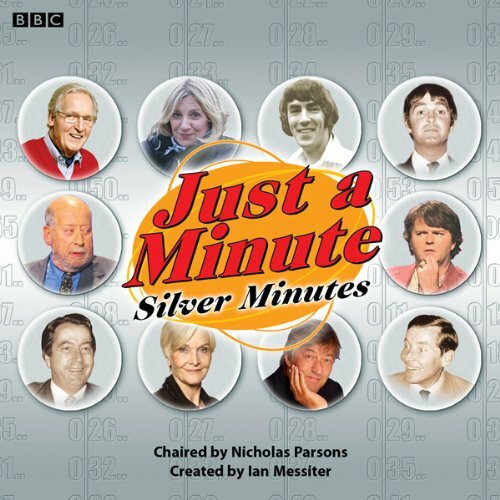 In the first, which celebrates Just A Minute's 45th anniversary, Paul Merton, Ross Noble, Jenny Eclair and Gyles Brandreth are given subjects from the first series in 1967, such as When I Wear A Top Hat, The English Nanny, Knitting A Cable Stitch Jumper, How To Perform A Cornish Floral Dance - and Derek Nimmo! Nicholas Parsons is once again in the chair for this complete series of the popular BBC Radio 4 panel game. 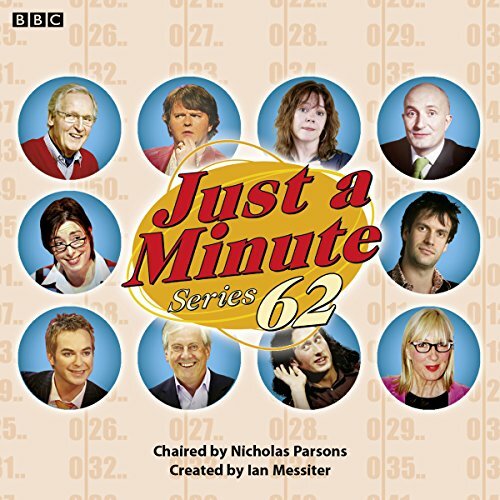 Featured in these eight episodes are panellists Paul Merton, Shappi Khorsandi, Tony Hawks, Graham Norton, Julian Clary, Gyles Brandreth, Sheila Hancock, Josie Lawrence, Phill Jupitus, Rick Wakeman, Pam Ayres and newcomers Russell Kane, Miles Jupp and Jason Byrne. Produced by: Tilusha Ghelani. Just as uproariously funny - and terrifically popular - today as when it first began on BBC Radio 4 in 1967, Just a Minute challenges contestants to speak for one minute on a given subject without repetition, hesitation, or deviation. Its mix of irreverent fun and ferocious competition has always attracted stellar names from the world of comedy and theatre, all of whom pit their wits - and their wit - against regular players. This new audiobook celebrates 25 years of the BBC radio show Just a Minute. Under the eye of its ever-jovial, though constantly embattled, chairman, Nicholas Parsons, four of the game's best known players, Clement Freud, Peter Jones, Derek Nimmo, and the irrepressible, not to say uncontrollable, Kenneth Williams, respond to some pretty silly topics with hilarious results in two complete programmes of this much-loved radio series. In addition such talented talkers as Peter Cook, Stephen Fry, Sheila Hancock, Paul Merton, and Victoria Wood are on hand. 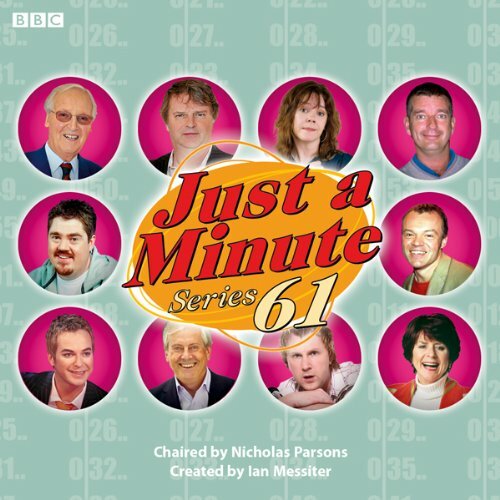 With Nicholas Parsons in the chairman's seat, Just a Minute is the unfailingly witty series in which Paul Merton, Clement Freud, and a variety of guest players attempt to speak for one minute on a given topic: without hesitation, repetition, or deviation!